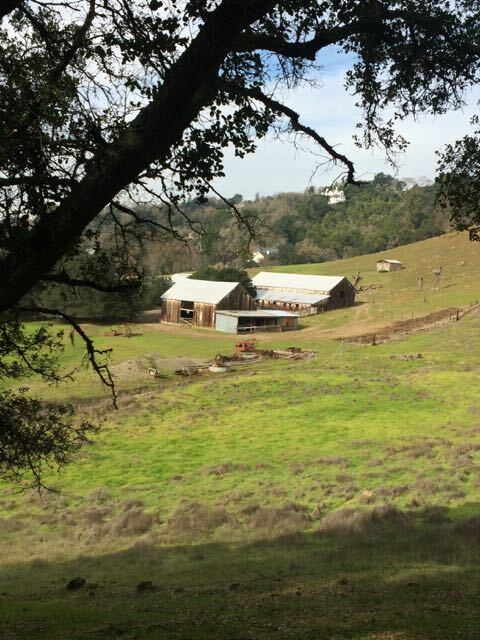 Sonoma, California—one of my favorite small towns—is just one hour northeast of San Francisco. Located in the wine country, near its famous neighbor, Napa, low-key Sonoma is a popular destination for wine aficionados and city folks looking for a weekend get away. 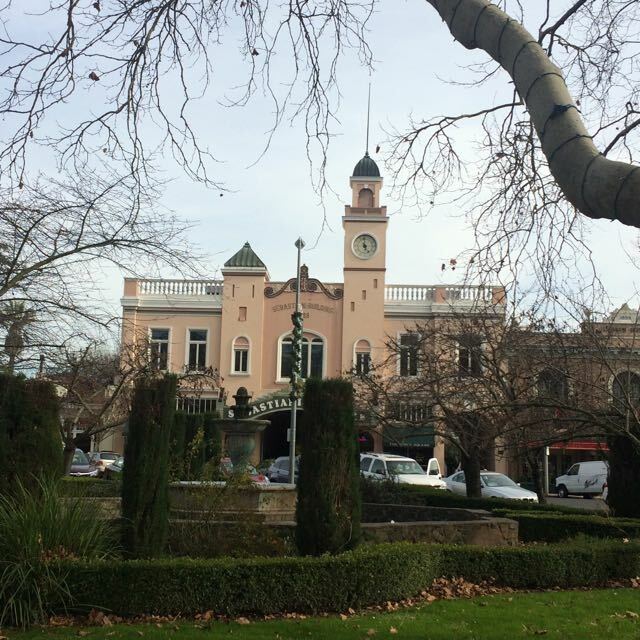 Unlike many cities in the U.S., Sonoma has a piazza, or what we call “The Plaza”, due to our Spanish roots. It’s fun to explore the small shops, tasting rooms and restaurants that surround the square. 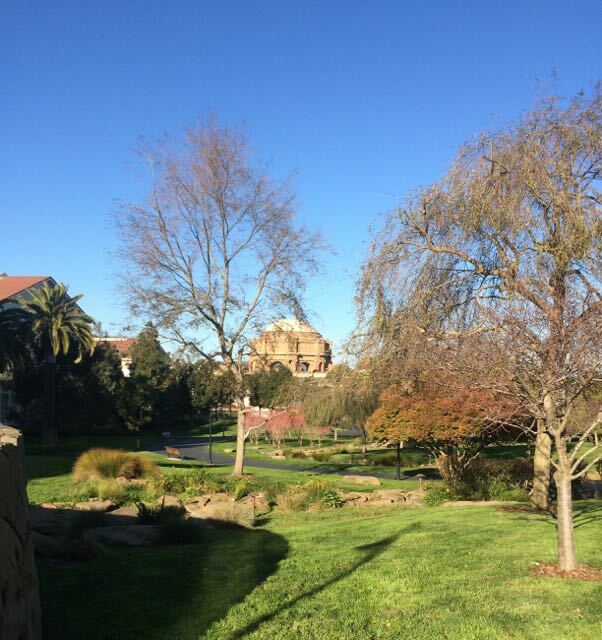 But when the sun’s out, head for the park with your picnic lunch and a bottle of wine (which is legal to consume openly here in the wine country). If you happen to visit on a Tuesday, there’s a great Farmers’ Market in the early evening. Many weekends, the Plaza hosts a variety of special events, such as the Plein Air Festival and wine tastings. This is also where you’ll find the Visitor’s Center with much more information about the area. Each time we return to the Bay Area, we always spend some time in one of my favorite cities—San Francisco. When I first catch sight of the Golden Gate Bridge, it still takes my breath away. Whether a ghostly blur in the morning fog, or a bright orange beacon in the sun, San Francisco’s iconic bridge will always make me smile in wonder. 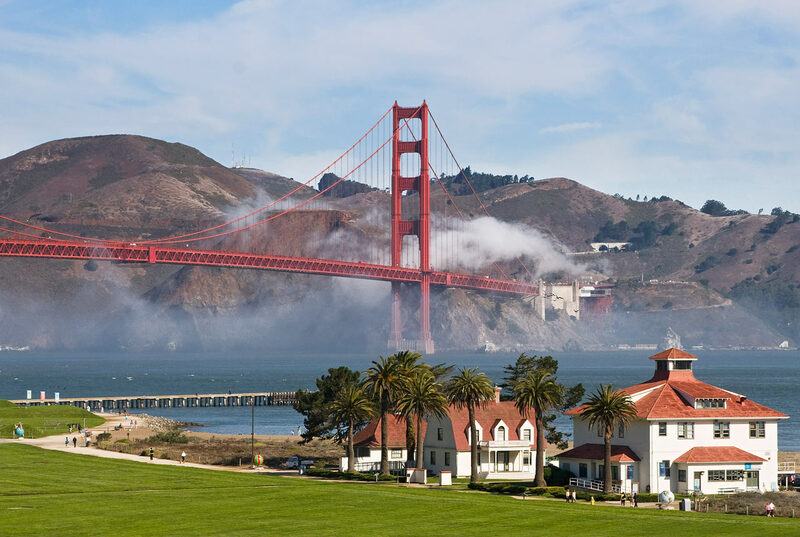 If you want to experience the Golden Gate bridge and some of the best views of the bridge, itself, skip walking across the span and go to the Presidio of San Francisco instead. You’ll avoid the logjam at the impossibly crowded viewpoint parking areas on both sides of the bridge. The windy walk is not so pleasant due to the noise of so many cars whizzing by that drown out any conversation. If walking the Golden Gate Bridge is on your bucket list—go ahead. 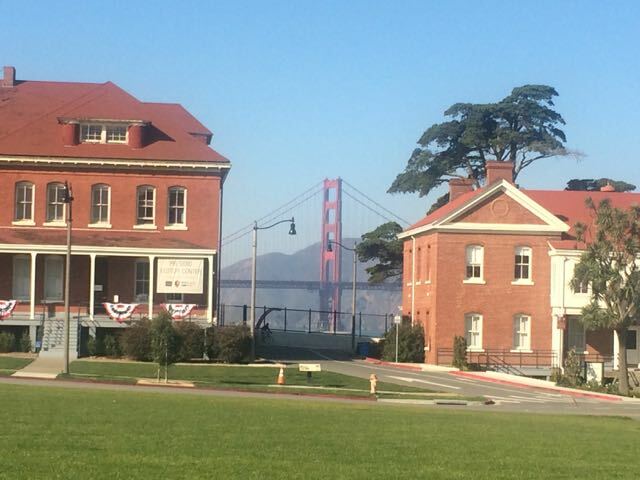 But my preference is the nearby Presidio, a former Army Base that has been thoughtfully restored to benefit the people of San Francisco and beyond. Located in the northern part of the city, near the Golden Gate Bridge, look for the signs on Lombard Street to enter the Lombard Gate of the Presidio. There is still construction going on, so check the park’s website for more updated information. I recommend stopping at the Letterman Digital Arts complex for a quick visit. These Leed Certified buildings beautifully replicate the original Letterman Hospital that served thousands of soldiers and veterans while the fort was still active. They are now home to to Lucas Arts studios and other high tech companies. Take a selfie with Yodo in the garden and then stop by Starbuck’s for a quick espresso. Even at this lower level of the park you can enjoy expansive views of the San Francisco Bay, Alcatraz and the bridge. You don’t have to be an art historian or even an authority to appreciate the abundance of art treasures found everywhere in Italy. Whether you prefer Greek and Roman sculpture, modern art or the masterpieces of the Renaissance, you’ll find more than you can imagine in Italy. Don’t try to see everything in one visit. This is one reason I keep coming back. There’s so much to enjoy and explore. Art is everywhere in Italy. Visit any major city and you’ll have a long list of museums, monuments, archeological sites and churches on your itinerary. 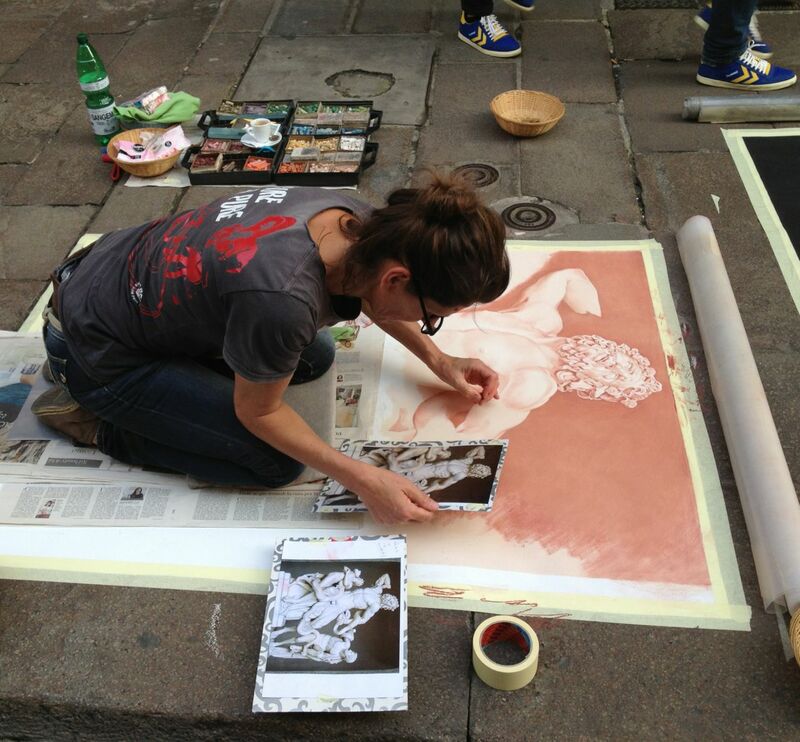 Walk around the city and enjoy the street art, garden sculpture, fountains and monuments for free. Even the architecture is adorned with art. 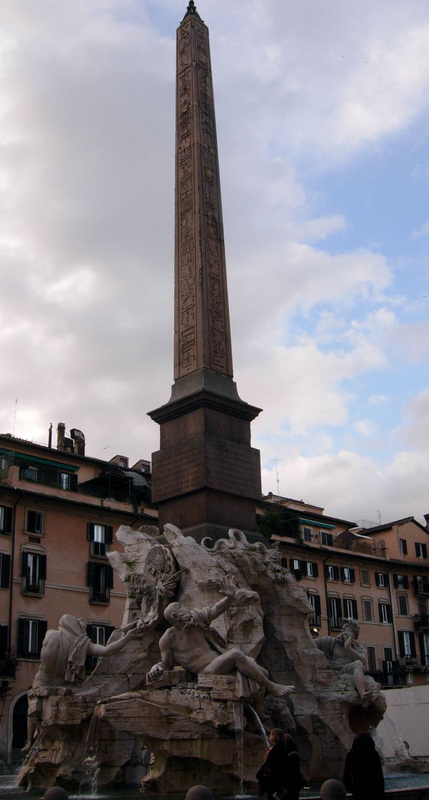 Almost every piazza is a showcase for public art—whether it’s a major piazza in Rome, such as Piazza Navona with Bernini’s Fountain of Four Rivers or the smaller piazza della Minerva with Bernini’s elephant at the base of an Egyptian obelisk, you are bound to find something wondrous to see. The popular guidebooks are a good resource for visiting the major museums. Follow their advice about making reservations in advance and consider using the museums cards that most major cities offer. However, if you plan to visit just a few museums, it’s not always worth the price of a card. Use the museum websites to make the best use of your time and reserve your tickets in advance. You don’t want to waste your precious travel time standing in a long line. 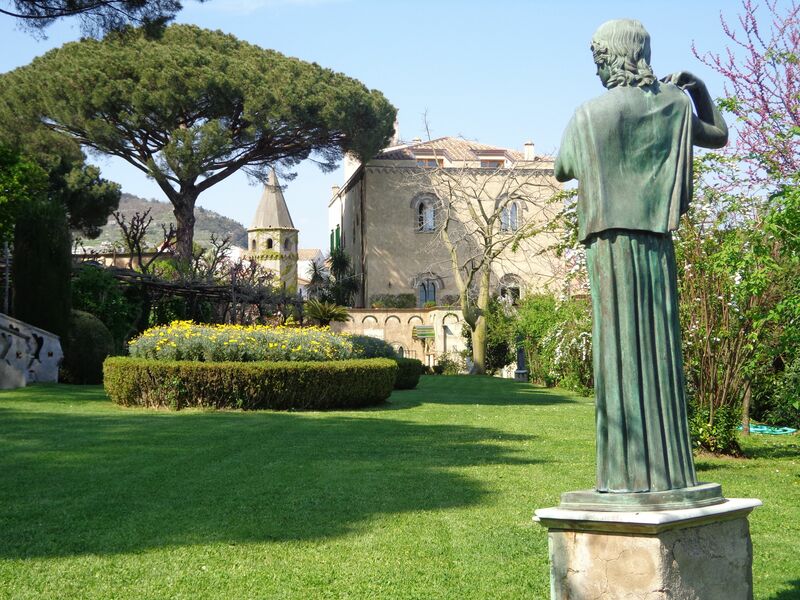 Besides the major museums, keep your eyes open for special exhibits in the Palazzos and Villas. The local Tourist Information centers will also have information about these temporary shows. One of my favorite venues is the Palazzo Strozzi in Florence. Opened in 2004, this Renaissance Palace hosts three high quality exhibits each year. I stumbled upon American Impressionists one year. 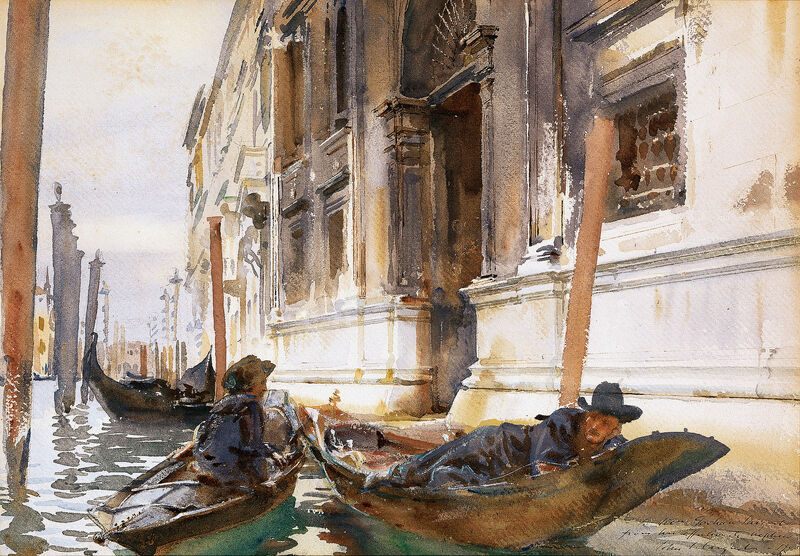 Another time I found an exhibit of John Singer Sargent in a palazzo in Venice. Since these exhibits are not permanent, they won’t be listed in the guidebooks. At these venues you won’t be in a crowded room with tourists—just a few Italians and you. 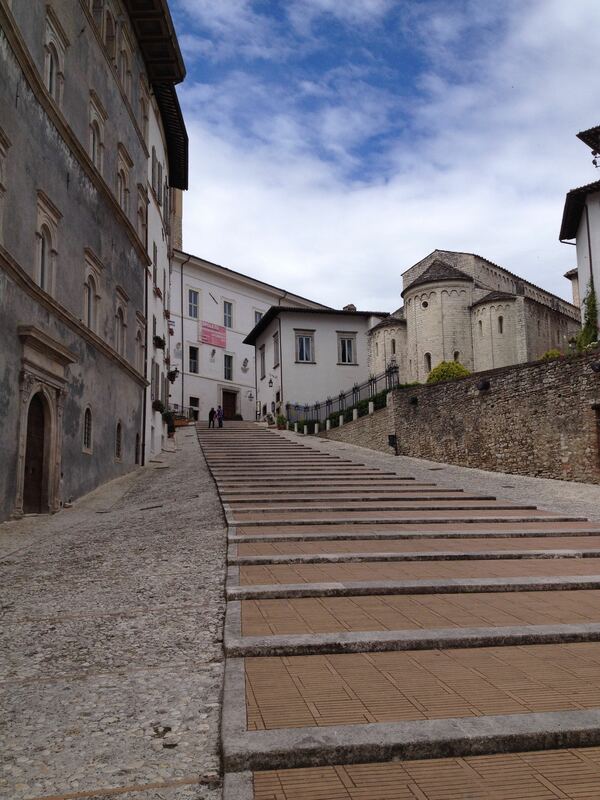 Part of the magic of visiting Italy is discovering a small hill town that takes you back in time to another world. You can visit any region in Italy and find an historic walled hill town overlooking a wide variety of idyllic pastoral scenes. In most regions you’ll find lush vineyards intertwined with orchards of ancient olive trees and winding rustic lanes lined with tall cypress trees. In other areas the hill towns look down onto colorful patchworks of farms, pastures dotted with happy cows or terraced lemon orchards that stretch to the sea. To reach these scenic towns, it’s often best to rent a car. However, on the Amalfi Coast it’s easier (and safer) to use the public bus system. 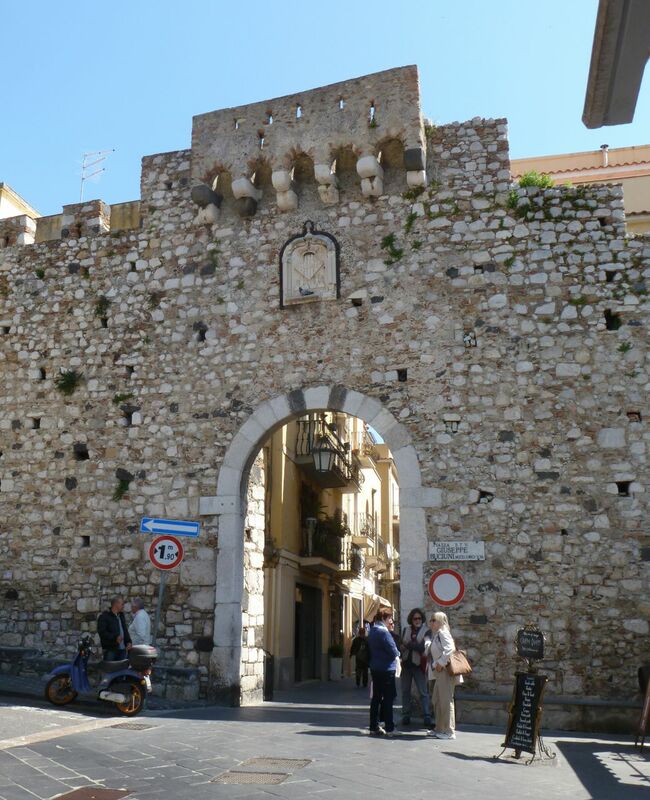 If you do decide to drive, you must park your car before you pass through the old city gates. Almost every town in Italy has a Centro Storico—Historic Center—limited to pedestrians and cyclists. Look for the large blue P or the blue arrow sign for parking areas which often require a fee. If the curb and lines are blue, there is definitely a fee. Find the small machine where you can make your payments with cash or a credit card. If you are in a particularly small town, you might have to seek out the closest Tabacheria store where they sell parking passes. If you find an area where the lines are white, you get to park for free. If you’re using public transportation, consider taking the bus rather than a train. Often, these hill towns are not so close to the train station. For instance, Assisi, Siena and Perugia are quite a distance from the main train stations and a bus takes you closer to the town center. There are plenty of wonderful places to walk off a delicious meal in Italy. One of my favorite places to stroll is an Italian garden. Large or small, formal or informal, famous or forgotten, Italy provides a wonderful assortment of gardens for every taste. And when I’m busy touring around the country, it’s been a joy to discover a peaceful garden where I can escape the crowds and just enjoy the lovely scenery with a few locals. Here are a few of my favorites. A wonderful area for visiting formal gardens is Lake Como, where there are several Villas with their large, manicured gardens. 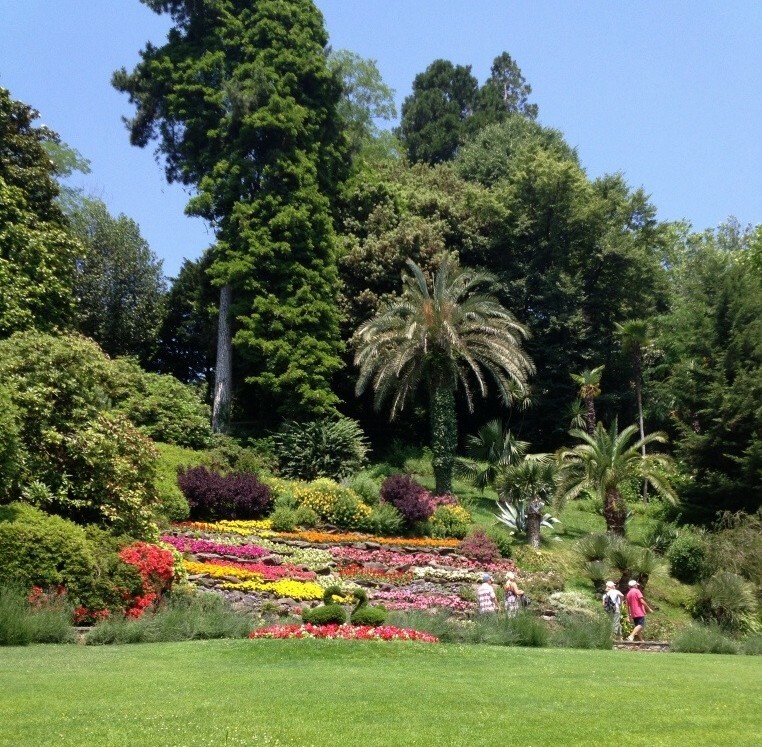 One of the largest gardens can be found at Villa Carlotta, an easy boat ride across the lake from Bellagio. The villa itself is now a small museum with several wonderful sculptures by Antonio Canova, but the almost 20 acres of botanical gardens are what attract the most visitors. Give yourself plenty of time to walk the trails that wind up and down the hillsides and terraces that showcase a wide variety of plants and garden styles. Continuing with the November theme ″Why I keep coming back to Italy″ is Reason Nine–Fast Food. 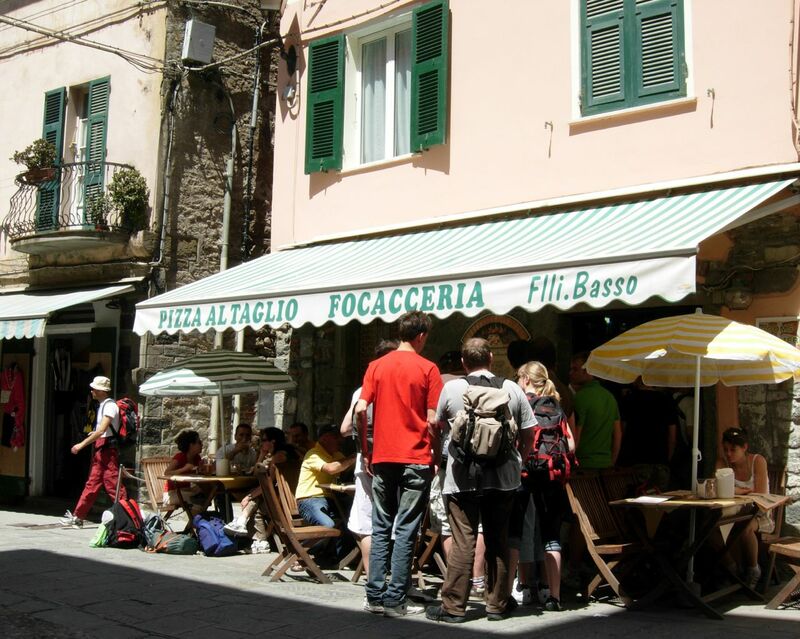 Larger cities and even some small towns will offer freshly cooked food to go at a small shop called a Tavola Calda, Look in the cases and you’ll find freshly baked lasagna, baked pastas and many more choices. I always look for a nearby kitchen, to make sure the food is fresh. Technically, a Salumeria sells meats and what we call salami, in America. However, many of them also offer cheeses, breads, salads and tasty panini sandwiches to go. The famous Salumeria, Tamburini, in Bologna is an amazing butcher and food store packed with wine, local products and much more. It also provides a delicious fast lunch. Continuing with the November theme ″Why I keep coming back to Italy″ is Reason Eight–Slow Food. 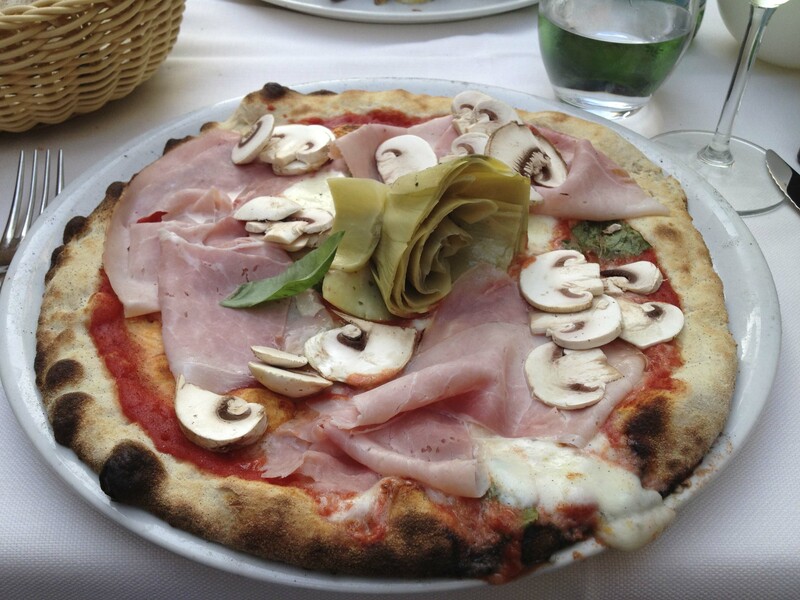 When you arrive in Italy, it’s time to slow down and enjoy the wide variety of culinary delights. Although there is always the option of a four course meal for lunch or dinner, it’s up to you. Order one plate or several and savor the fresh and local cuisine. You have the table for as long as you want—that’s why you must always request the check, il conto, because only the diner decides when it’s time to move on. The Slow Food Movement started in Italy. It was in the early 80s when Carlo Petrini and other friends first talked about ways to preserve the culinary traditions of their country. When McDonald’s decided to open a franchise near the Spanish Steps in Rome, the group became more active and the movement found a name—Slow Food . Since those early years, the movement has expanded its scope and gone international. Thankfully, the traditions of Italian cooking have a growing audience in Italy and throughout the world. And luckily, for those of us who travel to Italy, most offerings are fresh and local. Italian restaurants rarely boast about serving these fresh and local products. This is just the norm in any good restaurant—large or small. At first I was disappointed when I couldn’t order my favorite salad, the Caprese one cold spring day. But, it was too early—and the tomatoes and basil weren’t in season—so any decent Italian restaurant won’t have it on the menu. Look for the chalkboard menu that changes daily. This means that the menu adapts to what is fresh and local. It doesn’t always guarantee a great meal—but it’s a start. 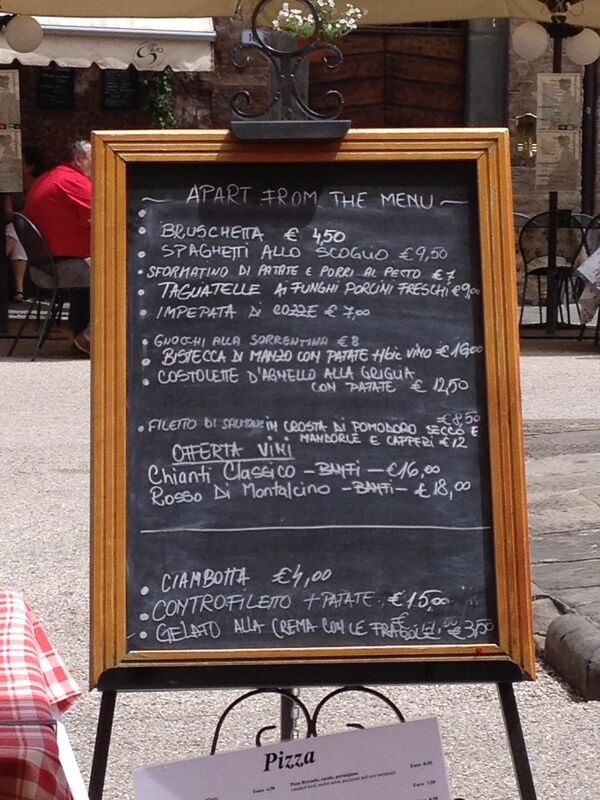 Avoid restaurants that have four or five menus in several languages and a long list of items. These restaurants are usually found close to popular tourist sites and will often be mediocre. Look for fatta a mano or fatta in casa on the menu. This means that the pasta is made in-house. 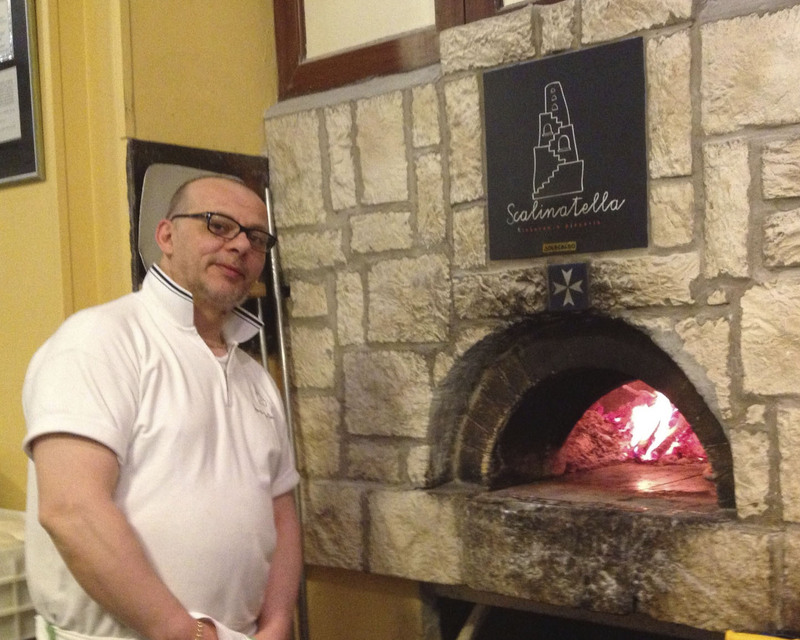 Find Pizza al forno di legno for a wood-fired pizza. It doesn’t have to be wood-fired, but this is a very tasty traditional method that you don’t want to miss. Save the cost of an expensive meal by trying an upscale restaurant for lunch. In the region of Emilia Romagna, we stumbled upon the Michelin starred Caffè Arti e Mestieri during lunch hour. They offered a “fast lunch” special for the business crowd that was a delicious and generous one course meal at a bargain. Be sure to visit the local cheese shops or even a caseificio where you can see how cheeses are made. You will find a wide variety of cheeses that we never see in the U.S. Even the familiar names such as Mozzarella or Pecorino are very different in Italy. You’ll be able to find many more stages of aged cheeses and fresher varieties such as Mozzarella di Bufala, Burrata and fresh Ricotta. 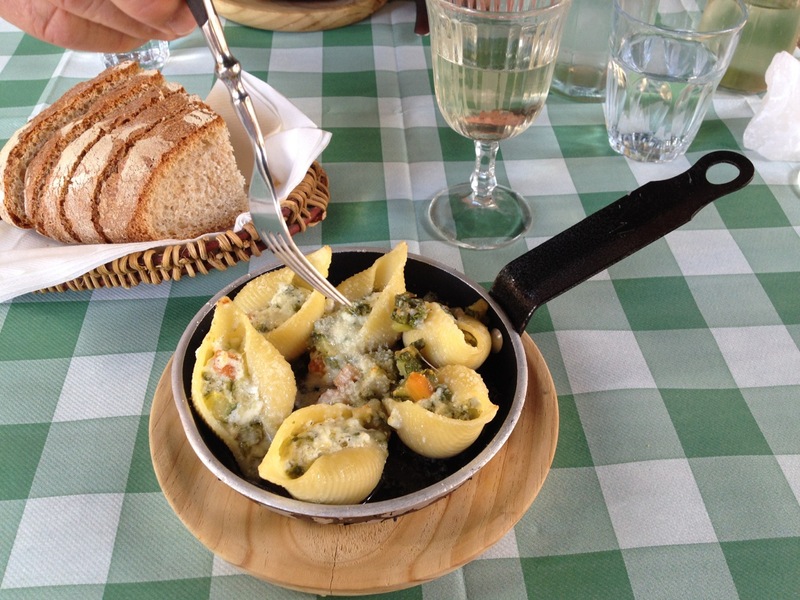 Read some Food Blogs (see my favorites on the right sidebar) before you visit Italy. These will talk about the newer, up and coming chefs that are doing creative things with traditional dishes using fresh and local ingredients. Each region of Italy is known for their particular specialties. If you don’t recognize something on a menu—ask about it. It may be an exciting new pasta, vegetable, fruit or cheese experience for you. Ask for a recommendation, too. Often, the dish of the day will feature a seasonal specialty. Take a food and wine tour or a cooking class. You don’t have to commit your entire visit to a tour. There are lots of daily culinary tours offered in each region. This gives you an opportunity to visit wineries and farms—and the producers of some wonderful products such as olive oil, cheese and vinegar. 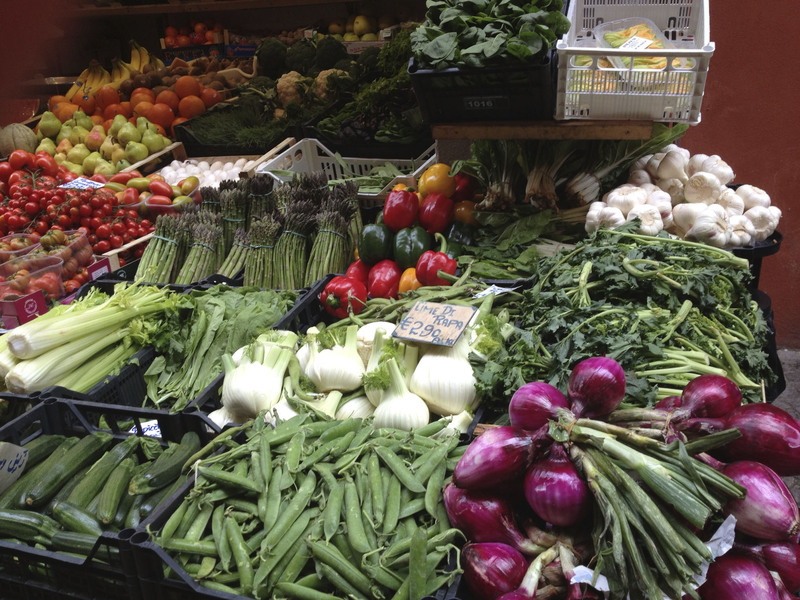 Thanks to some committed Italians, the Slow Food Movement continues to influence how we eat. And in Italy, where they have helped to preserve so many important culinary traditions, we can enjoy the fruits of their labors. 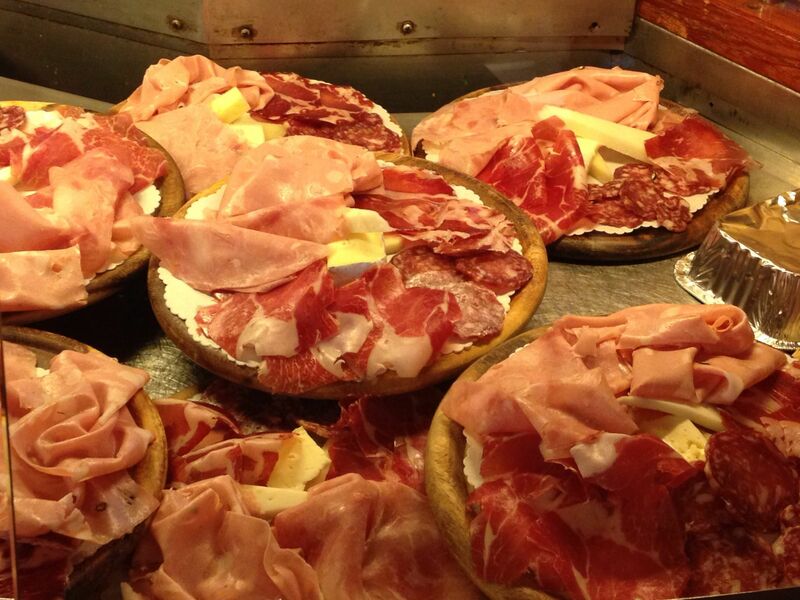 It’s never hard to find a place where “si mangia bene” —one eats well, when traveling throughout Italy.